Kim Eun-kyung dismisses former minister arrest warrant ... Court "There is a Controversy"
Kim Eun-kyung, a former minister of the Environment Ministry, was dismissed at night over allegations of a so-called Ministry of Environment blacklist that forced Park Geun-hye's government officials to resign. The prosecution's plan to secure a recruitment of Kim to the top secretary of the presidential office of Cheong Wa Dae and to pursue the investigation was taken once. It is JEON Byeong Nam reporter. 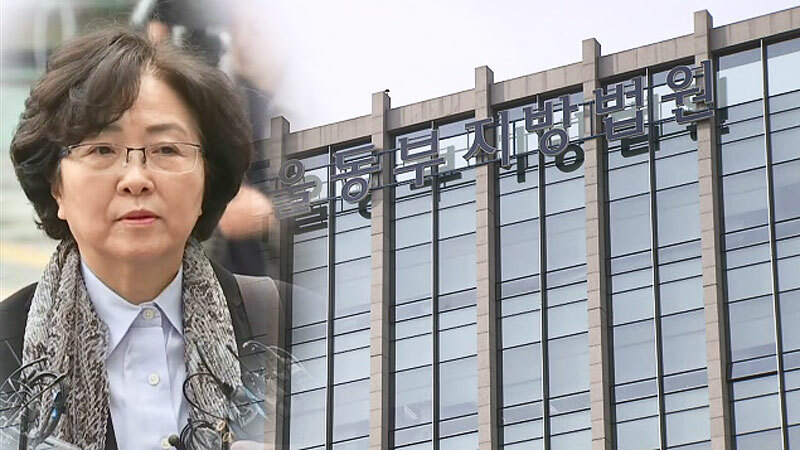 The court dismissed the arrest warrant for Kim Eun-kyung, the former minister of the environment, saying, "There is a possibility of allegations and we have to guarantee defense." And that it was not enough to call for the destruction and escape of evidence. The prosecution filed a preliminary arrest warrant for Kim on suspicion of abuse of power and obstruction of business. Kim is trying to resign his office to government officials under the Ministry of Environment, which was appointed by his predecessor government, and to appoint a pro-government official as his successor. Kim returned home after 16 hours of attendance. Kim failed to secure the recruitment of the former minister, who was the key to the allegations of the Ministry of Environment 's blacklist. The prosecution originally planned to summon Secretary Shin Min-sook of the Cheong Wa Dae Balance Personnel after he arrested Kim. The prosecution is planning to decide whether or not to recapture after analyzing the reasons for the warrant dismissal. The timing of the recall of the new secretary may also be delayed. In particular, it is analyzed that the court will not influence the investigative power itself because it does not judge the situation of the Cheong Wa Dae and the Ministry of Environment exchanged opinions about the personnel of affiliated organizations.